One of the SEO trends expected to increase in 2017 is the use of voice search. Voice search is no longer used just for fun; it’s fast becoming a quick and easy way for users to find the information they need. Voice search is used more frequently by mobile device users. It’s also on the rise thanks to virtual assistant gadgets such as Amazon’s Alexa and Google Home. If you’re a local business you too will want to pay attention to this SEO trend and optimise your business accordingly. Here are a few tips to get you off the starting block. Act fast if you want to get the edge over your competitors. Optmising your local business means you’re going to increase the amount of natural language within your website. Think about how people will say what they’re looking for. Update your website to include these terms on your pages and consider updating your Q&A pages. Remember to submit your sitemap to Bing and Google so the search bots are able to crawl your website and fully understand what you’re offering to your audience. Many users of voice search now look for businesses that are near them, rather than stating the actual location. 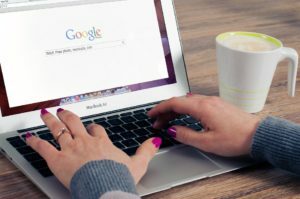 Therefore it’s vital that you have claimed your business and optimised your listings on Google My Business and the other online directories available. This is a great time to update your listings and ensure all the information is correct. Voice search is more about natural language, users enjoy speaking to their devices in a conversational tone. This is why incorporating long tail keywords into your website is so important. Long tail keywords are very specific and they have been shown to have a good conversion rate. They are longer than keywords and the increase of information in the ‘long tail’ makes it easier for users to find exactly what they’re looking for. A good place to start when creating your new long tail keywords is by visiting your Google Analytics and discovering the words your users are using to discover you. Remember, your website will need to be mobile friendly as this will impact your visitor’s response and actions once they find you. Ensure each visitor will have an excellent experience to increase sales and reduce bounce rates. Get in touch if you would like help preparing for voice search or updating your SEO strategies for 2017.